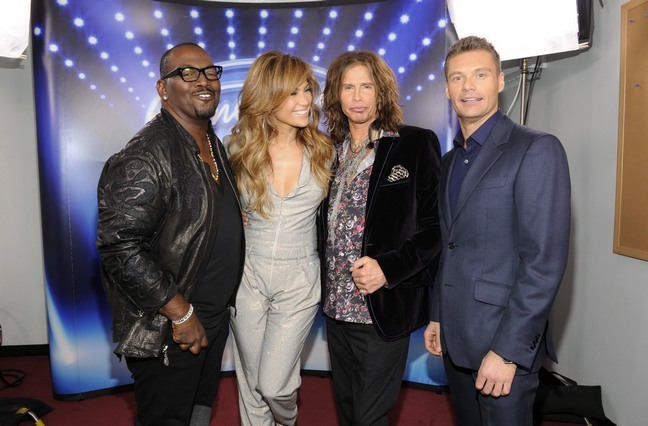 New American Idol Judge Rumors Keep Flying! Since Jennifer Lopez and Steven Tyler stepped down from their positions as American Idol judges and Randy Jackson listed as “unconfirmed” to return, the rumors have been running rampant over who will fill the empty seats. The new judge that has been 100% confirmed for the upcoming season is Mariah Carey – with her salary of $18 million. This leaves one seat open plus the possibility of two if Randy doesn’t return and there has been speculation that Idol may add a fourth judge this time around! Some of the names that have been rumored to be in strong consideration: Nicki Minaj (which reportedly has Mariah furious), Kanye West, Pharrell Williams, Nick Jonas, Brad Paisley, Aretha Franklin, Diddy and a host of other celebs in the music industry. Do you think the show needs some change? Who do you think would be the best fit? Are you still watching? Celebrity Snippets: Babies and Early BreakupsBuckle Up that Pooch!